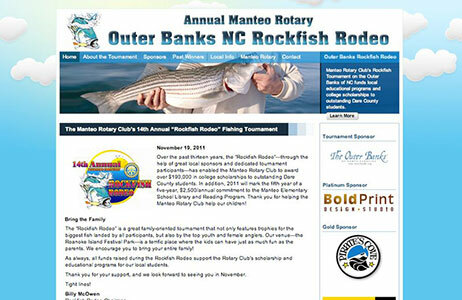 The Manteo Rotary puts on a fishing tournament every year called the Outer Banks NC Rockfish Rodeo. We are always super stoked to be involved with great local causes. This one supports scholarships for local students going away to college. 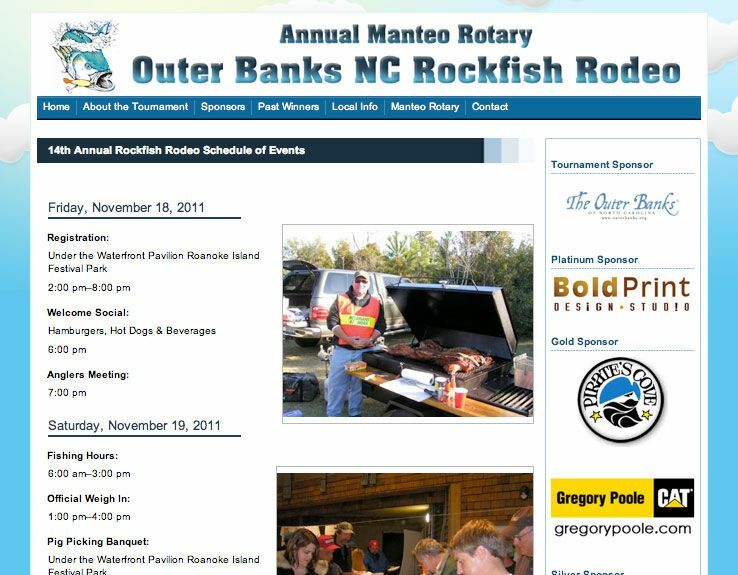 We built the site and continue to support the website year after year as a sponsor of the event. 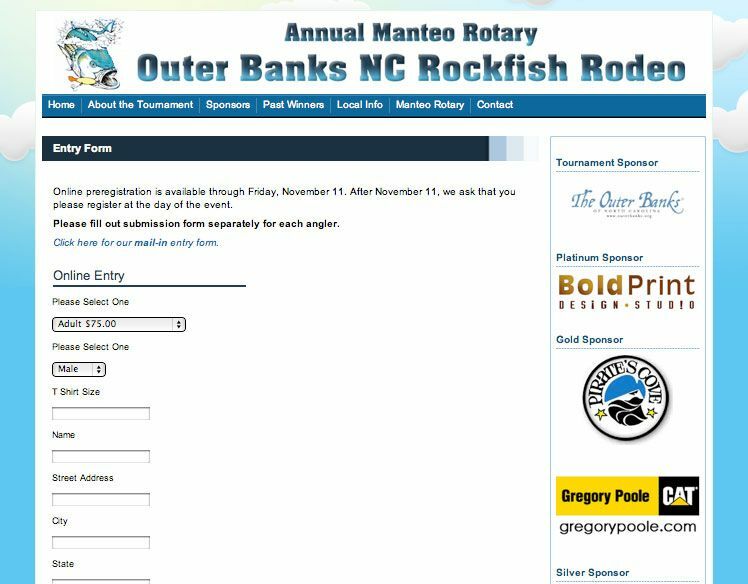 This website features PayPal© integration so that visitors may register and pay for their entry without leaving the Rockfish Rodeo site. 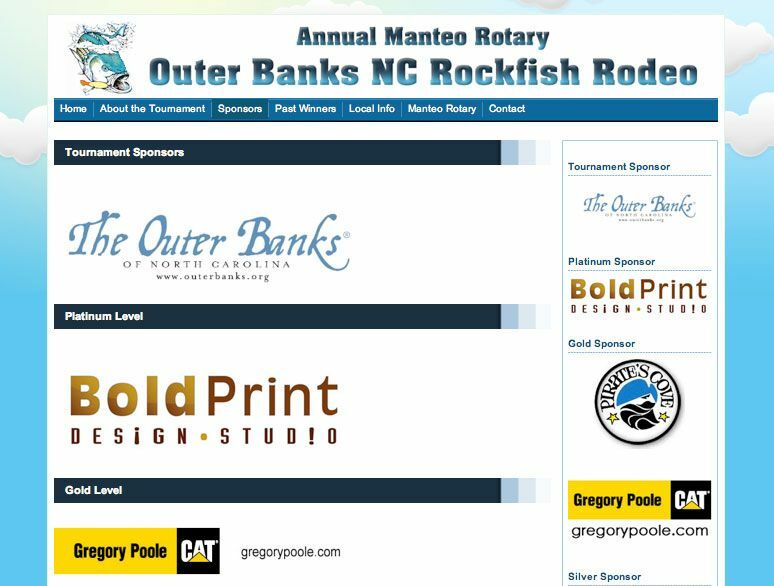 Sponsors of the event are highlighted by level on the sponsorship page. In recent years we have helped them bring in a live feed of the tournament and display it directly to their website.